Golden State Warriors Superstar and pretty much NBA sweetheart, Steph Curry has been ruled out of action for two weeks after an MCL sprain. Last season’s MVP slipped during a playoff game on Sunday to deal a blow to his team’s hope of back to back NBA titles. Nevertheless, the Warriors went on to win the game over the Houston in the first round of the playoffs but there’s just a sense that this team is truly only invincible when Curry plays. 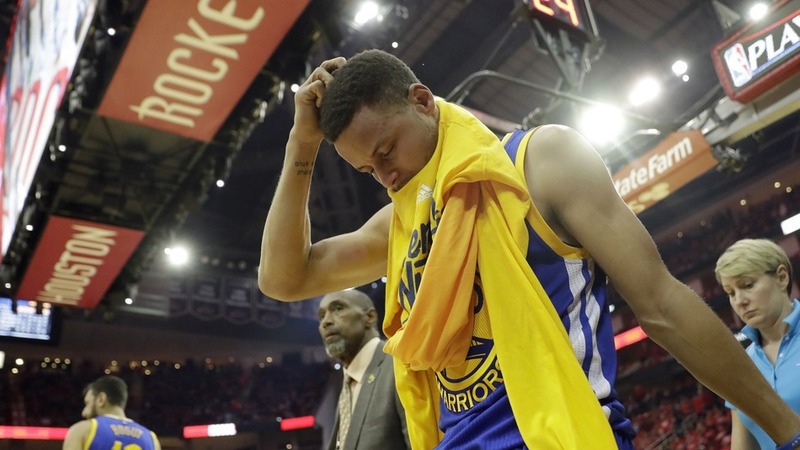 Curry couldn’t hold back the emotion as he shed tears as he left the floor in pain but he need not worry too much, he’s all but almost secured an MVP title this season. If all holds, Curry could be back to action by the second round of the playoffs.